The government has agreed to extend the approved mental capacity professional (AMCP) role to improve safeguards for service users under the scheme that will replace the Deprivation of Liberty Safeguards (DoLS). In this week’s House of Lords debate on the Mental Capacity (Amendment) Bill, which would introduce the Liberty Protection Safeguards (LPS) to replace DoLS, junior health minister Lord O’Shaughnessy announced the government would amend the legislation in the Commons to extend the range of circumstances in which an AMCP would be required to consider a case. AMCPs will be practitioners with specialist training in the Mental Capacity Act – likely to be mostly social workers – whose role will be to provide an independent check, known as a pre-authorisation review, on whether the conditions for a deprivation of liberty under LPS have been met. These are that the person lacks capacity to consent to the arrangements giving rise to the deprivation of liberty, and has a mental disorder, and that the arrangements are necessary to prevent harm to the person and proportionate to the seriousness and likelihood of that harm. However, unlike the best interests assessor role under DoLS, an AMCP would not be required in every case. As the bill stands, they would only be required where there is a reasonable belief that the person is objecting to the arrangements. While the body responsible for authorising the deprivation of liberty could appoint an AMCP in other cases, they would not be required to. Instead, a person independent of the person’s care, but who would not need specialist training or qualifications would carry out the review. This had sparked concerns among peers and professionals that there would be insufficient protections for people who were not evidently objecting to their arrangements but were otherwise particularly vulnerable. 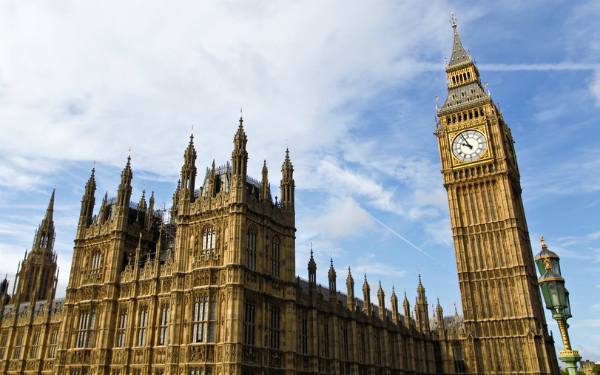 In the previous Lords debate on the bill, the government announced it would bring forward amendments when the legislation reaches the House of Commons to ensure all cases in independent hospitals must be referred to an AMCP. However, in this week’s debate, opposition peers proposed amendments to extend the AMCP role to a host of other cases. One amendment proposed extending the range of cases to ones in which relatives were objecting to the arrangements, the cared-for person was prohibited from making contact with particular people or subject to high levels of restraint, the arrangements involved the administration or prescription of covert medication or treatment for a mental health disorder in hospital, or there were exceptional circumstances. Another amendment proposed referring cases to AMCPs where there was a dispute between the responsible body and the pre-authorisation reviewer (where this was not an AMCP), and a third suggested requiring an AMCP referral where a care or health worker or loved-one has informed the responsible body that the cared-for person was objecting to their arrangements. The latter was designed to support whistleblowers in raising concerns. In response, Lord O’Shaughnessy said that an objection to the arrangements raised by relatives or others with an interest in the service user’s welfare, or concerns raised by a care worker about the person objecting, would give rise to a reasonable belief that the person themselves objected, triggering an AMCP review under the bill as it stands. However, he also said that the government would bring forward amendments to extend the AMCP role further, when the bill reaches the House of Commons. “Furthermore, we are determined to get the role of the AMCP right. We think it is necessary to go beyond specifying that those in independent hospitals can see an AMCP and to think of other cases as well, and we are intending to bring forward amendments at the Commons stages of the bill,” he added. O’Shaughnessy also said he would meet with opposition and crossbench peers before the third reading, the bill’s final stage in the House of Lords, to discuss an amendment that would enable whistleblowers to refer cases to an AMCP. The government suffered its second defeat of the bill’s passage through the Lords after peers voted, 277 to 192, in favour of giving cared-for people and those representing them information on the LPS process and their rights to challenge an authorisation. Despite stating it was “vital” people were informed of their rights when potentially being deprived of their liberty, Lord O’Shaughnessy said the government opposed putting this on the face of the bill, as it was already “adequately accounted for” in law, specifically through article 5(2) of the European Convention on Human Rights. This states that people who are detained must be informed promptly of the reasons why they are being held and in a language they can understand, which means states are under a positive obligation to provide this information. However, Lord O’Shaughnessy’s assurances proved inadequate as peers argued that it would be insufficient to set out rights to information in the code of practice. Liberal Democrat peers Baronesses Barker and Jolly cited a recent Supreme Court judgment to argue that a code of practice could not establish a legal duty in its own right. In An NHS Trust and Others v Y , the Supreme Court said there was no requirement to refer best interests decisions to withdraw assisted nutrition and hydration from a person with a prolonged disorder of consciousness to the Court of Protection, unless there was a dispute between clinicians and the person’s relatives or the best interests decision was finely balanced. This was despite the Mental Capacity Act code of practice, in one section, stating, without qualification that such cases must be referred to the court. The Supreme Court stated that the code was contradictory on this point, relied on pre-MCA case law, which required no automatic referral to court and could not extend a doctor’s legal duties. Baroness Jolly said that the code of practice that would be established to provide guidance on the LPS was being asked to effectively establish rights and duties instead of explaining or elaborating on them”, the latter being its proper role. Prior to the authorisation process, the cared-for person must be fully informed of their rights. The responsible body must ensure that the cared-for person and any appropriate person or independent mental capacity advocate (IMCA) understand the potential outcome of the assessments, the reasons why the person may be deprived of their liberty and their rights to request a review by an AMCP, to advocacy or to challenge the authorisation in court. If an IMCA is appointed, the advocate must help the cared-for person and the appropriate person to understand the authorisation process, the purpose, duration and effect of the authorisation, any conditions of the deprivation, the reasons why the cared-for person met the qualifying requirements, the right to object to the authorisation and request an AMCP review, the outcome of a review of the arrangements, the right to challenge the authorisation in court and how to exercise this right. The responsible body must ensure that cases are referred to court when the cared-for person’s right to a court review is engaged. It would be up to the responsible body (a local authority) to determine whether the care home manager should arrange the assessments to determine whether an LPS authorisation was required in any given case. Pre-authorisation reviews must be arranged by the responsible body. The bill would allow regulations to be made to prevent pre-authorisation reviews being carried out by someone connected to the care home. The cared-for person is expressly included in the list of those who must be consulted, and the necessary & proportionate assessment must consider the person’s wishes & feelings.